It's something a lot of us have thought about before, but it's often daunting getting started. Some methods seem too good to be true, and some just don't work. If you're looking to make money online to supplement your income in your free time, save for something big, or to earn some money and work from home, then this article is the first step. It's a method that has became more and more popular over the last couple of years. 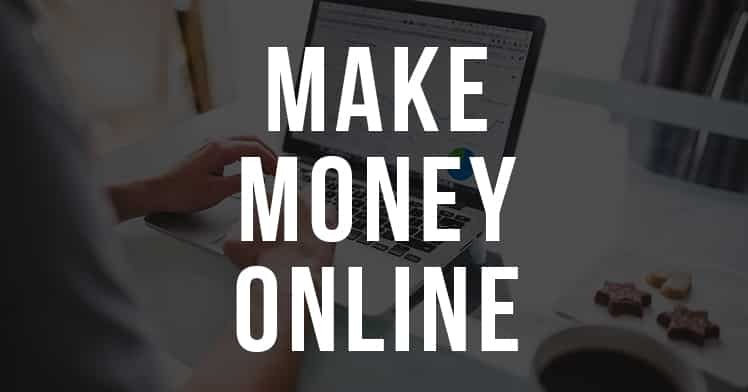 It's hands down the best ways to make money online in the UK without any risk or too much effort. People who are using this technique are making £100s, if not £1000s per month. Best of all, it's completely legal, tax free and risk free! It works by taking advantage of free bets that are regularly offered by bookies throughout the UK. You place a lay bet at a betting exchange, then a back bet at a bookies to cover yourself. Once this is over, you've neither won nor lost money, but it has qualified you for the free bet - which can sometimes be as much as £200! Fiverr is a marketplace for you to sell your skills. As the name suggests, services usually start at around $5. Some of the gigs (as they're know on fiverr) you can offer are Graphic Design; Video Production; Programming or Web Development; Blog Writing or Translating. If you don't feel you have a concrete skill, then you could even act as a Customer Service Representative for some businesses! If you're good, you can offer gigs at higher price points to rake in some extra cash, or even set up multiple packages that offer different levels of work. Pre-warning on this one - it's not risk free. However, it is potentially very lucrative, and that's because of the 'CopyTrader' feature. CopyTrader allows you to follow the best performing market traders, which means you can copy their techniques for buying and selling shares. It also gives you an insight into what businesses are performing well in the financial world, and who aren't performing so well. Allowing you to go short or long as you see fit. Nothing but a basic trading knowledge is required if you're just interesting in copying the top performers! If you have an appetite for big wins, then this may be the way to go. However, again, it's not risk free. So, if you're not willing to risk your cash, then there are perhaps other ways more suited to you to make money online. This one is rather new, but it still works nonetheless! It's quite convenient as it doesn't require any change to your habits - just browse as normal. The idea comes from Qmee.com. All you do is install their addon to your browser, and as you click through Google, Bing or Yahoo there will be a few sponsored results alongside your normal ones. Click on them to collect your award. You won't be getting huge amounts, usually between £0.50 to £1.00 per sponsored result. However, they all add up and before you know it you could have an extra £30 in your bank. Unlike other similar ideas, there's no minimum cashout limit. So if you've £10 in your account and fancy a takeaway for dinner, then cashout and treat yourself! This method of making money online requires a bit more effort. But has the potential to make you tens of £1000s per year. Most bookies allow you to become an Affiliate Marketer for them. In layman's terms, this means you promote their website to get them more signups, and in turn make money from it. The more signups you can generate for them, the more money you're going to be making. An example would be you getting 20% of the losses of a new signup for life. Which can really add up if you're getting a lot of signups. 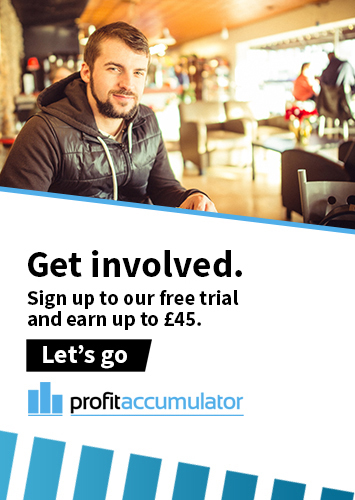 Here at Profit Accumulator we list hundreds of matched betting offers, taking out most of the work for you. We also have our very own affiliate scheme, which may be worth checking out.